Oh so charming! 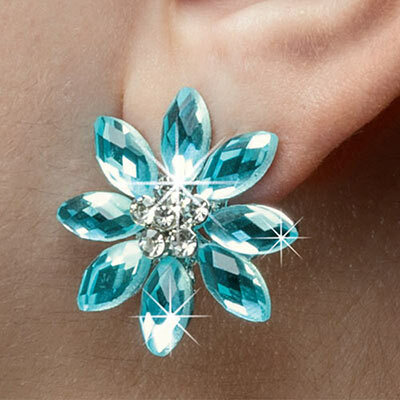 Faceted aqua ovals create the petals of these darling Aqua Flower Earrings, while the centers feature six clear rhinestones. Silver tone. Post backs. 1" dia.